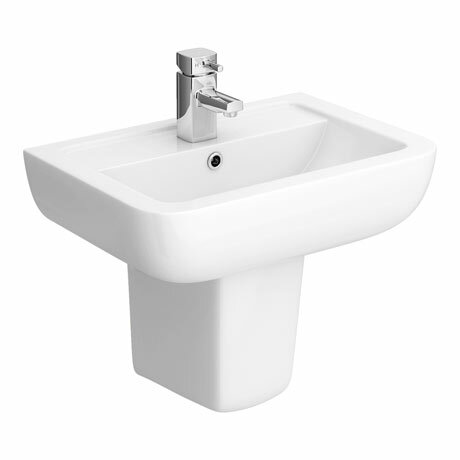 The super stylish Pro 600 wall hung soft square modern short projection 1 tap hole basin with semi pedestal, it's contemporary elegant lines and compact size make it ideal for smaller bathrooms and en-suites; made from high grade ceramic with a smooth cool white finish. The 560mm wide basin only projects from the wall by 400mm. Comes supplied with a semi pedestal which helps give your bathroom an open look.